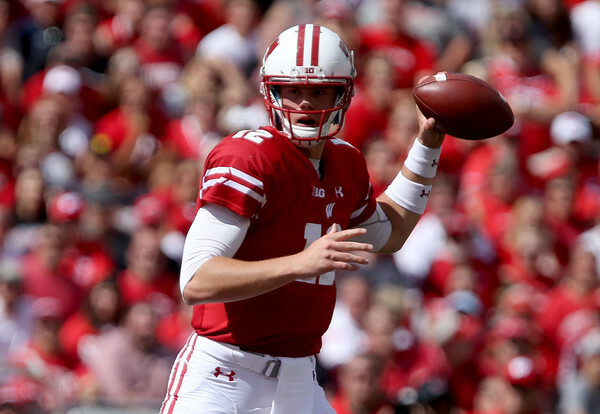 The Wisconsin Badgers went on the road this weekend and got a big victory over the Northwestern Wildcats 21-7. 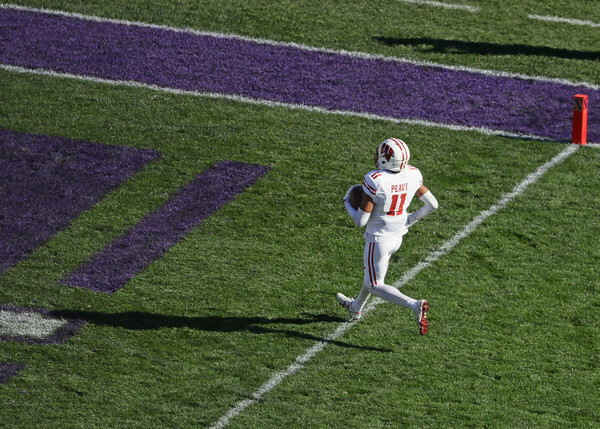 It was Wisconsin’s first win in Evanston since 1999. The win also keeps the Badgers alive for the Big Ten West title, which will require Nebraska losing another game in the regular season. Below are some thoughts on the Badgers win over the Wildcats. 1. 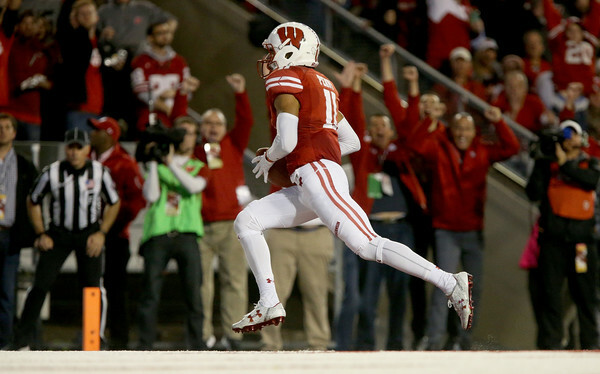 Wisconsin dominated this game – The Badgers had complete command of this game in every facet, but the scoreboard. They just could not get pull away until midway through the fourth quarter. However, they were the better team throughout the entire game. The running game was strong, the defense was their usual self, and the quarterbacks while not strong, were able to get the job done. This game was expected to be physical and it was nothing short of that. The Badgers showed what many expected in the win. The defense allowed only 5 of 18 on third down conversions for the Northwestern offense, but the key was what they did to Justin Jackson. The Badgers held him to just 42 yards on 13 carries, which tied his season low (versus Illinois State). If not for a 28 yard run at the end of the first half, it would have been even lower. 2. 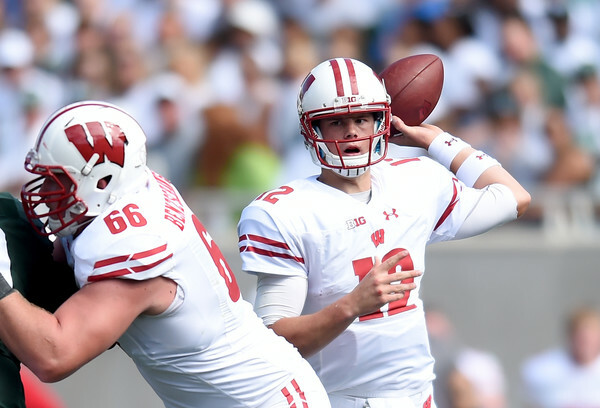 Alex Hornibrook continues his ups and downs – This is expected from a freshman quarterback. After all, he is not a robot. He missed some throws like a potential touchdown to Jazz Peavy in the first quarter and some open receivers. To be fair, he made some good throws such as in the third quarter on an out route to George Rushing on a big third down as well as taking hits to complete passes. He will continue to split time with Bart Houston, but he seems to thrive when he comes back in. 3. Jazz Peavy roars back to life – Jazz Peavy was held in check the previous two games against Iowa and Nebraska. Over those two games combined he finished with 6 catches for 51 yards and only had 2 rushes for 5 yards. He easily eclipsed those totals after only a quarter and a half against Northwestern when he was at 3 catches for 54 yards and had a rushing touchdown for 46 yards on an end around (video is below). He finished with 4 catches for 73 yards while he did not record another rushing attempt. When Peavy goes, Hornibrook and the offense go as well. 4. End of the first half – What on earth was going on at the end of the first half? The Badgers gave up a touchdown drive to Northwestern, but the Wildcats did their best to help them out with a pooch kick. The Badgers had the ball at their own 40 yard line with 30 seconds left and opted to go with a run play. Paul Chryst let 15 seconds run off the clock before calling a timeout and the Badgers ended the half with two Hornibrook deep passes that were incomplete. 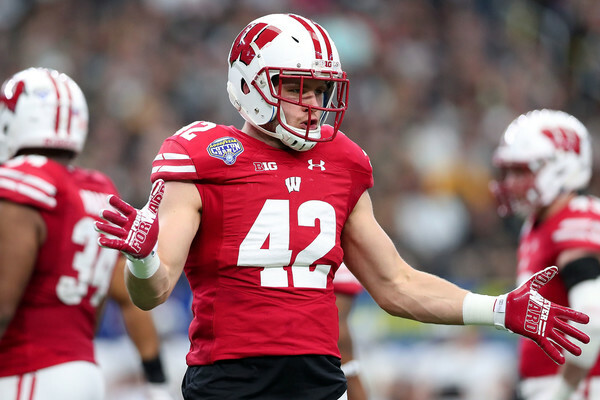 The Badgers had a chance to stem the Northwestern momentum (the Wildcats also received the ball to start the second half), but instead they did not even get out of their own half. It was a real discombobulated finish to a half Wisconsin in which they were the superior team. 5. The rushing attack was better – The rushing game has steadily gotten better the last four weeks with an average of 204 yards rushing per game. 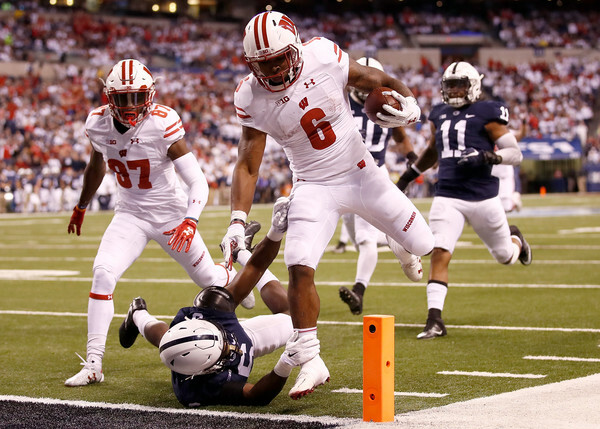 The Badgers only averaged 161.6 yards per game over the first five games. 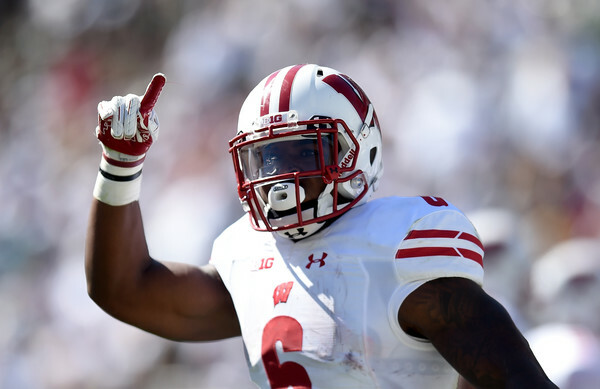 Corey Clement went for 106 yards and a touchdown on 32 carries while Bradrick Shaw got 11 carries for 54 yards. Interestingly, Dare Ogunbowale had a very small role this week after his monster game against Nebraska a week ago. As long as the running game can put up 200+ yards a game, they will be tough to be beat (along with the defense playing at the incredibly high level they have all season). 6. Special Teams – The way this game started it was looking like kicker Andrew Endicott was going to be walking home. His 35 yard field goal attempt was horrendously wide, but he made 2 of 4 field goals on the day. His other miss was a 51 yard attempt that was just wide. He has not been great, but today he was sufficient. Also getting recognition is Anthony Lotti and his punting duties. He was constantly pinning Northwestern deep in their own end and making the field very long. P.J. Rosowski also had a good day kicking the ball off as the Wildcats did not have a return on the day. 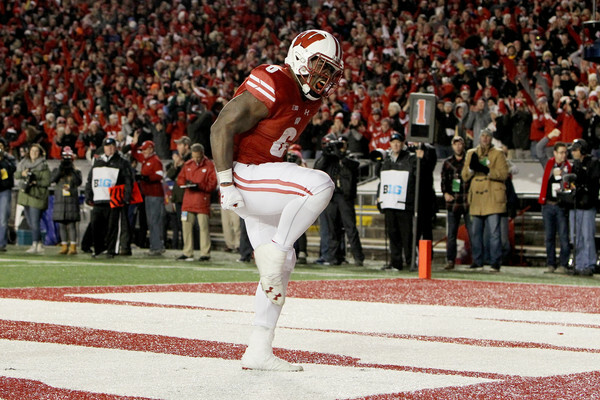 The Wisconsin Badgers are now 7-2 overall and 4-2 in the Big Ten. Next week they take on Illinois at home in a game they will be heavily favored. 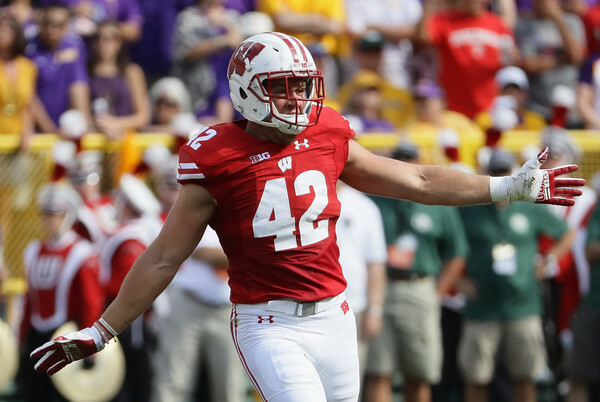 Below are previous columns providing thoughts on each Wisconsin game this season.